When it comes to online marketing, companies often spend countless hours trying to keep up with the latest trends or seeing what their competitors are doing. Although both tasks are beneficial, websites are often neglected as a result. A website is, in many cases, the first interaction a consumer has with a company, thus websites need to be updated and redesigned on a regular basis. This helps to improve a company’s online presence in a variety of ways. Following a website redesign, companies notice an increased interest in their businesses. This interest comes not only from new clients but existing customers as well. They wish to see what the site has to offer and how it has changed in other ways. Companies benefit as more time is spent on the site, potentially leading to more conversions. 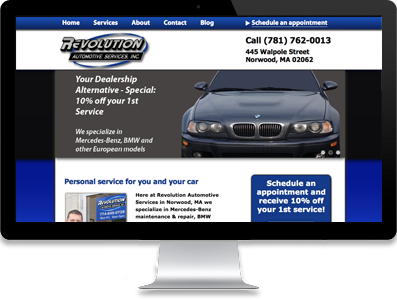 When companies choose to undergo a professional website redesign, they can incorporate new trends into the site. The web continues to evolve, and companies need to take advantage of the latest technology. Responsive web design, as an example, wasn’t of great importance ten years ago. As more people now turn to mobile devices, companies need to ensure the site can be viewed on a variety of devices with ease. When making this change, it’s easy to provide the site with a whole new look and design. Search engines update their algorithms regularly. Companies must make certain their site can easily be crawled by the search engines or their ranking may drop. With a website redesign, changes can be made to ensure this is the case. When search engine efforts boost, sites tend to advance in the rankings, thus more customers may visit the site, especially if it lands in the top three positions. Before undertaking a custom web design project, companies need to follow certain steps. First and foremost, the company needs to define their strategic goals. Understand the purpose of the project and clearly articulate it before proceeding. Research must be conducted to determine where the site is currently succeeding and where improvements need to be made. Make certain the project meets all web and ADA standards and audit content to ensure it is meeting the expectations of the target audience. Begin creating the new website, conducting frequent tests during the project and inviting feedback. In addition, look into incorporating a CMS as part of the process, as it will help to improve the company’s online presence in numerous ways. Consider redesigning your website to ensure it meets the needs of consumers. Competition in any industry continues to grow, thanks to more individuals logging on to the Internet. A company is no longer competing solely with other businesses in their neighborhood. They are now competing with global corporations, national entities and more. The time has come to redesign the company website to ensure it reflects this increased competition and meets the needs of consumers in every way.